Has your child lost hope in being able to read fluently? Does he/she suffer from low self-esteem due to learning failure and/or poor school achievement? Is there a possibility that he/she may fail his/her school year? If you answered “yes” to any of the above, our intensive 10-day holiday course might be the answer for you! 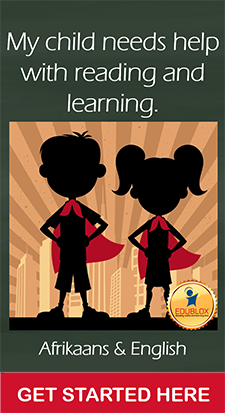 In June 2014, Edublox, a South African reading and learning clinic, hosted the FUNtastic Brain Clinic in Singapore. The course was offered in conjunction with Mind Edge, a world-class training academy in Asia Pacific. Results of tests done at the Clinic were analysed by the Centre for Evaluation and Assessment (CEA) at the University of Pretoria and revealed a significant increase in concentration in just five days. On top of that the effect size is large, which lies beyond what Professor John Hattie calls the ‘hinge point’ or the ‘desired effects point’ in education. For an M.Tech. study at the University of Johannesburg 34 Grade 5, 6 and 7 learners from an inner city school participated in a 5-day holiday course. Two subtests of the Visual Perceptual Test (TVPS-3) were used to assess visual memory and visual sequential memory. The visual memory of the learners improved by 1.3 years, and their visual sequential memory by 1.5 years. 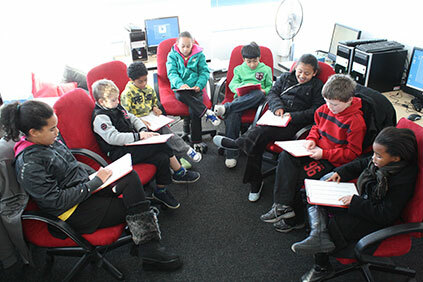 Ten youngsters with severe learning difficulties were tested on the South African Intelligence Scale before starting a two-week intensive course, and again after receiving 40 hours of one-on-one instruction. Their ages were between 7 and 18. The increases in verbal, non-verbal and full scale IQ were highly significant according to the two-tailed t-test. 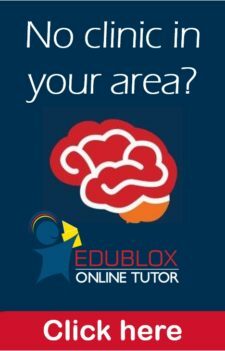 After the intensive course, the learner will ideally continue with the weekly Edublox classes or continue with Edublox Online Tutor.